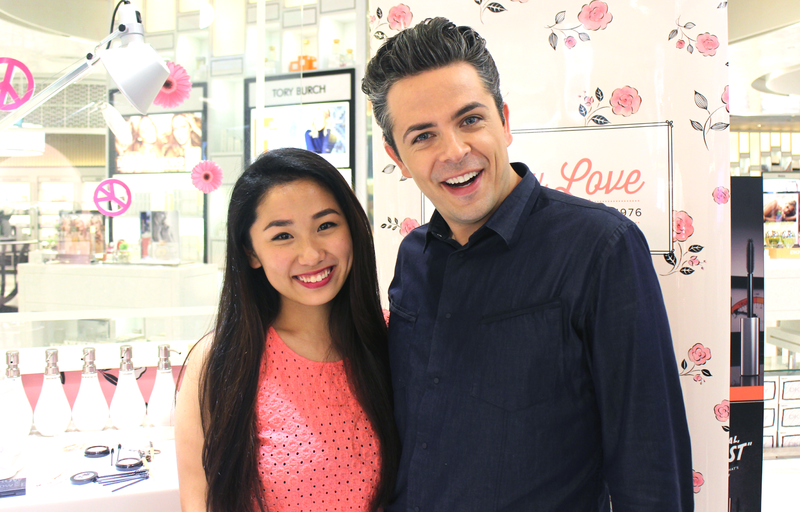 About a month ago, thanks to Benefit Cosmetics Singapore, I got to meet the amazing Jared Bailey who is Benefit Cosmetics International Spokesperson for Global Services, AKA their Global Brow expert and we teamed up to virtually bring your the experience what it's like getting your brows done at the Benefit Brow Bar! I never touched my brows or thought I needed up up till 2 years ago and ever since, its made all the more the difference. It just gives your face a very polished look and now, I go back about every 3 /4 weeks to get my brows done. I know I know, this is the part you're looking out for ;) There is a GIVEAWAY over on our youtube channel when you stand a chance to win SG$280 worth of Benefit goodies along with some of their signature brow products and their new franchise They're Real which includes their mascara, eyeliner and makeup remover! Contest ends 29th of June so hurry!! Aside from getting to witness the Benefit Brow experience from the comfort of your home in this post you'll also be getting to see glimpses of the Benefit dinner where we got to know Jared a little better with a couple of other amazing bloggers! 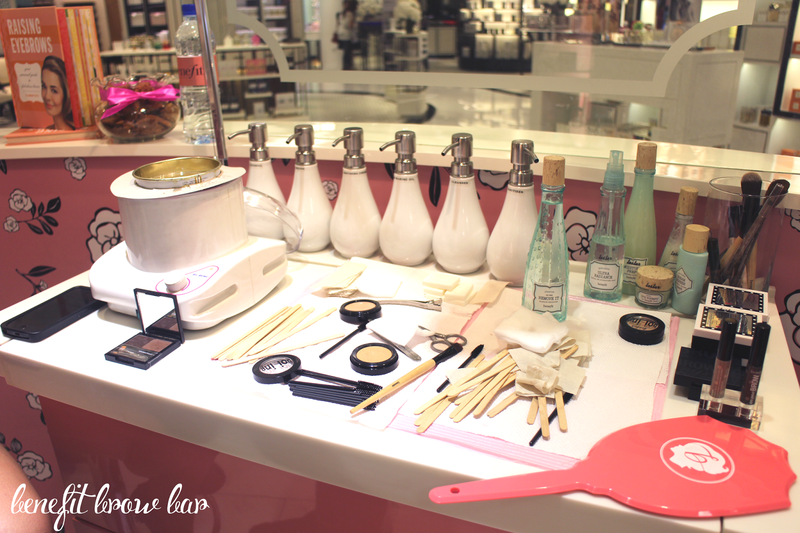 This is the typical Brow Bar set up you'll see at almost any Benefit Cosmetic counters or Stores. You'll see everything from their special wax to muzzling cloths which they use as the base to wax off the hairs. Fact* Benefit uses muzzling cloths because they find that the material texture allows the wax to grip the hairs better and to provide a clean finish that aids to the wince free technique that Benefit is oh-so-famous for! Here's a little blurb that describes the process with much detail. 1. First we take a pencil and line it up with the inner corner of your nose and the inner corner of your eye. 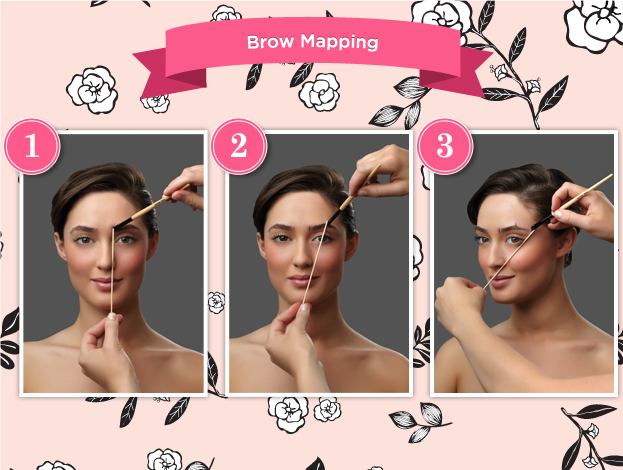 Then, we make a mark there using brow zings or any other brow pencil. 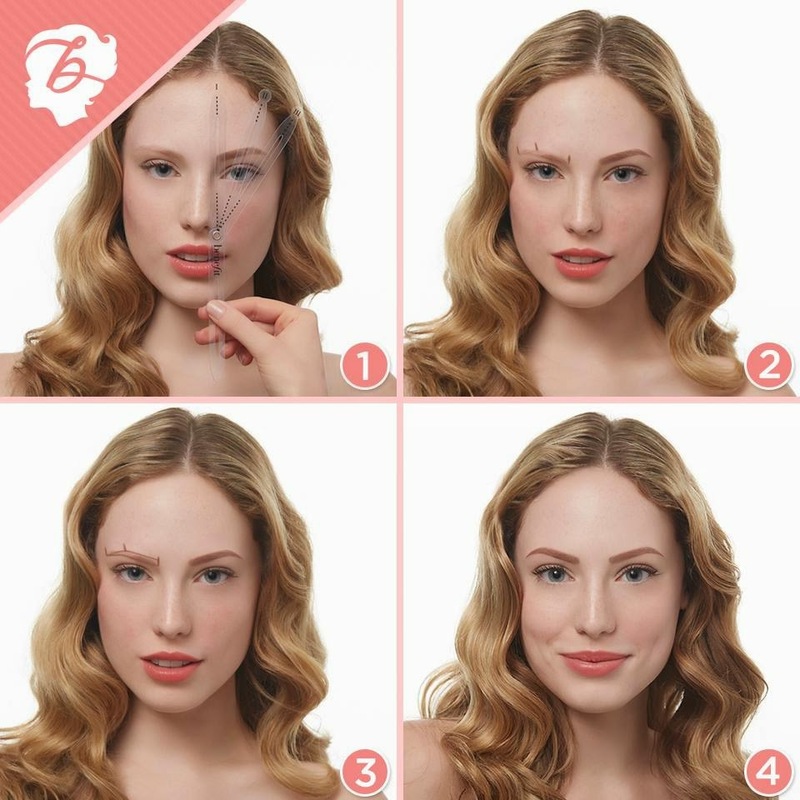 This tells you where your eyebrow should start. 3. Finally, we line up the outer corner of your nose with the outer corner of your eye to make the final mark—this is where your eyebrow should end. 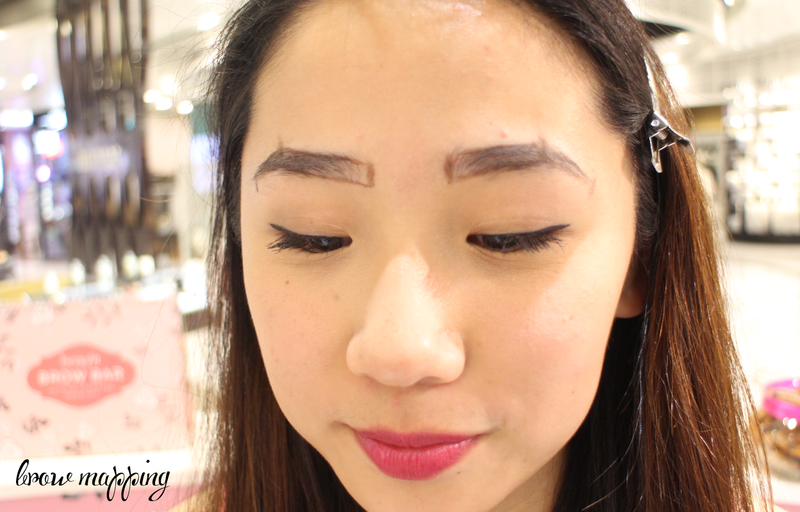 Now, we can carefully fill in from mark to mark with brow zings to create your new and improved brow. 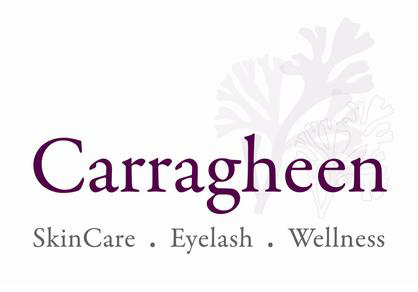 I know it may look a little silly and believe me, when I first had my brows done at the Benefit Brow bar, it was definitely an unusual step to witness but definitely a crucial step to what will help you get am amazing set of brows. It also kinda gives you a look into the shape of your brows before they wax all the little nasties that have hidden these beautiful pair of brows away. Getting my brows done with the expert! On to the most exciting part of the post - I was so honoured to have the expert, Jared himself work his magic on my brows. It was the most pain-free experience ever! Those girls who tell you that brow waxing hurts? Yeah, pfft.. they're clearly getting it done at the wrong place. I felt no pain whatsoever! 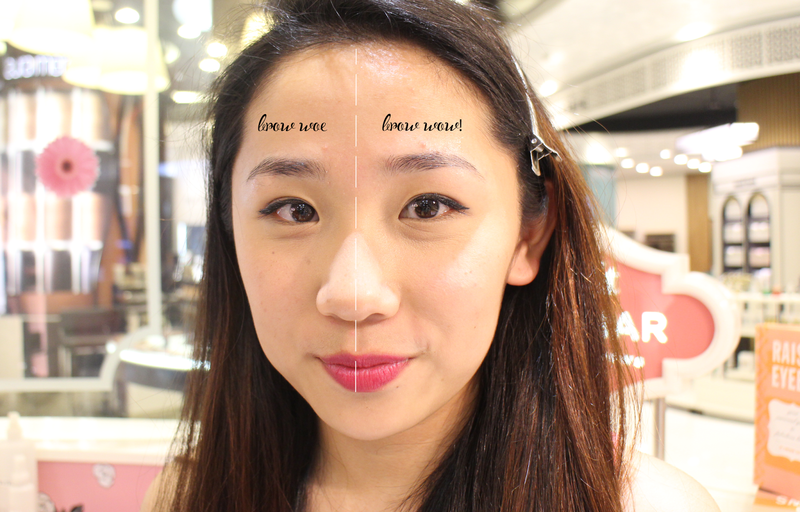 I even took my best friend from Hong Kong to the benefit brow bar and she felt NOTHING, no pain whatsoever. 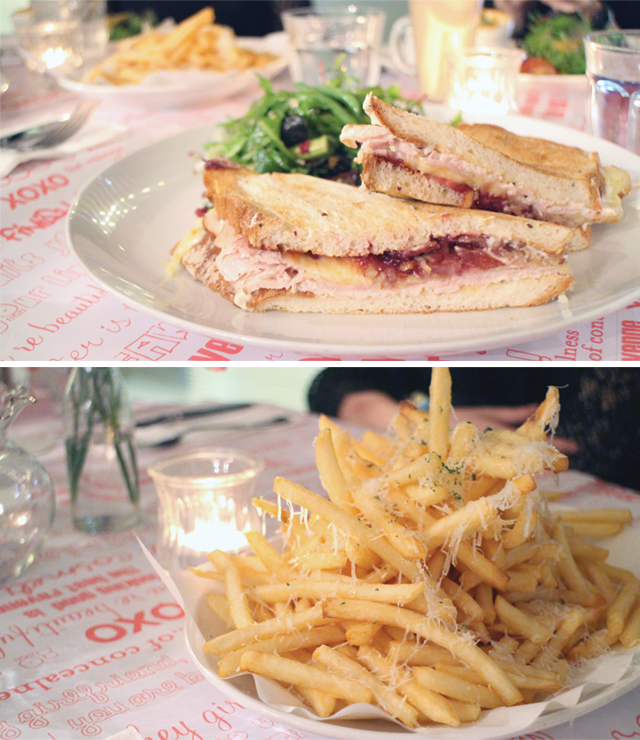 Benefit Cosmetics organized an amazing dinner at P.S Cafe later that night where several other amazing bloggers got to together along with the Benefit team and Jared to get to know each other a little better and to exchange beauty pet peeves too! It was just an open ground to discuss anything and it was nice to have a more personal and cozy get-to-know each other session this way as oppose to a press conference kinda ordeal. We got to meet several bloggers that night and although I didn't get to grab a photograph with everyone. It was certainly nice to have gotten to meet such amazing people, the benefit team and just have a great evening with good food. 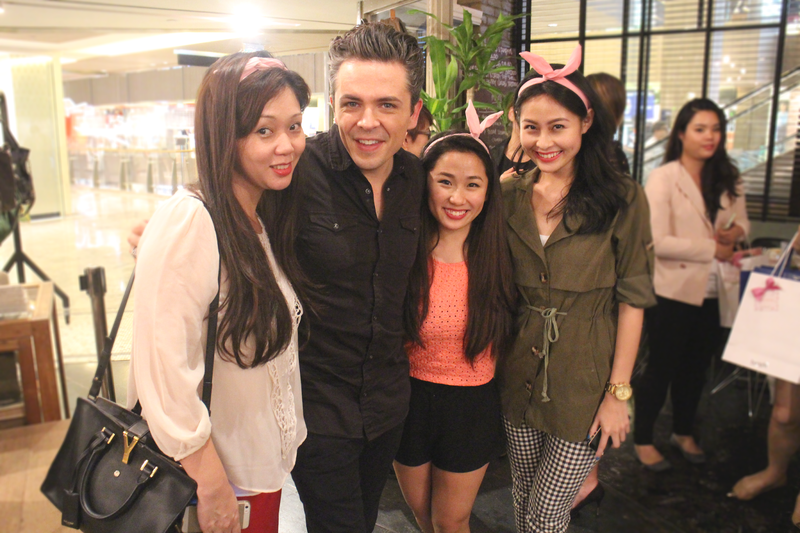 Last but not least, I got to meet these brow experts from Benefit Cosmetics! 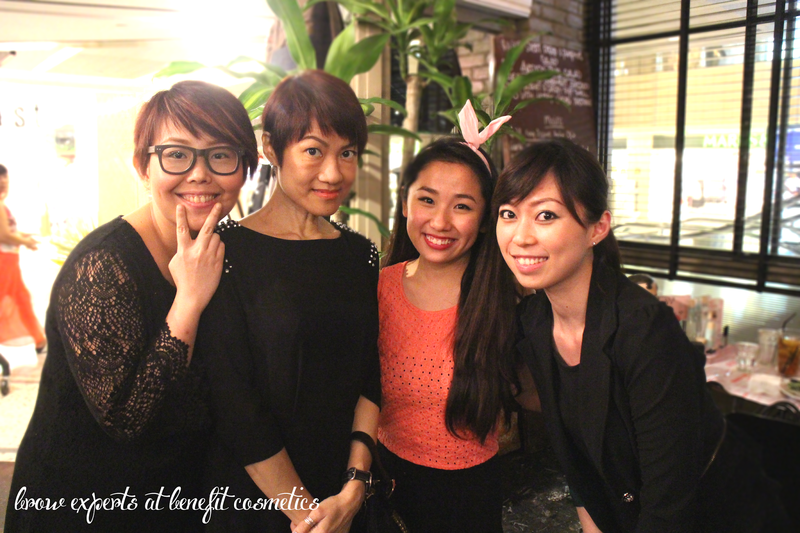 These are three of the most amazing brow experts that you can find at TANGS, Vivo and ION respectively. Regardless, anyone you approach at the Benefit brow bars are always very friendly and provide nothing but the best service! This might sound like a sales pitch here, but it isnt! 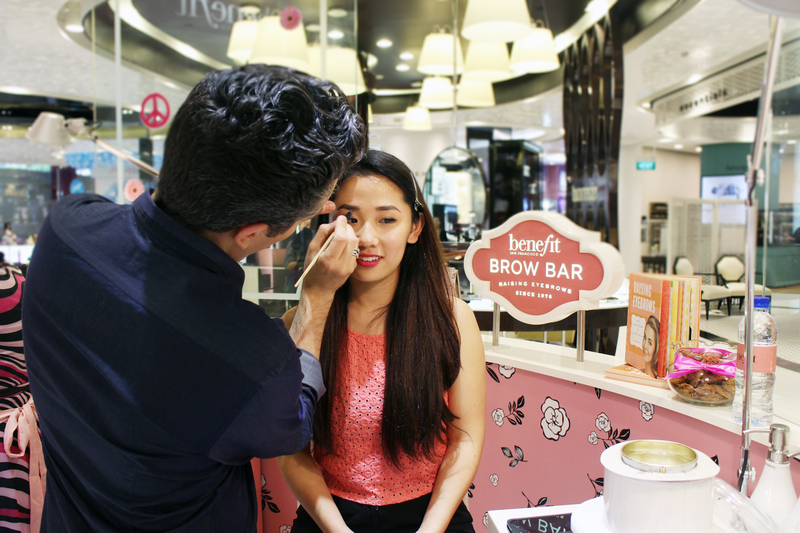 I visit the benefit brow bars even before we teamed up with them for this collab and had nothing but a great experience. Not to mention I always walk out with incredible brows to frame my face right after too. Thank you so much to Benefit Cosmetics for the amazing evening, I honestly had the best time and wish Sam was in town to enjoy the fun filled day with me too. Don't forget to enter the giveaway over on our youtube channel! GIVEAWAY DETAILS can be found on our youtube video right here. I love Benefit They've Real Push Up Liner!! 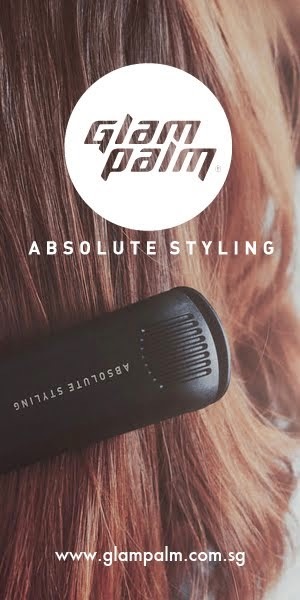 So easy and smooth texture to use, a awesome good product!! Thanks for organising this giveaway, would like to go and try out this waxing eyebrow service soon, seem so pretty on you! Hey! if you can't call through, simply head down to their counter and make a booking straight! 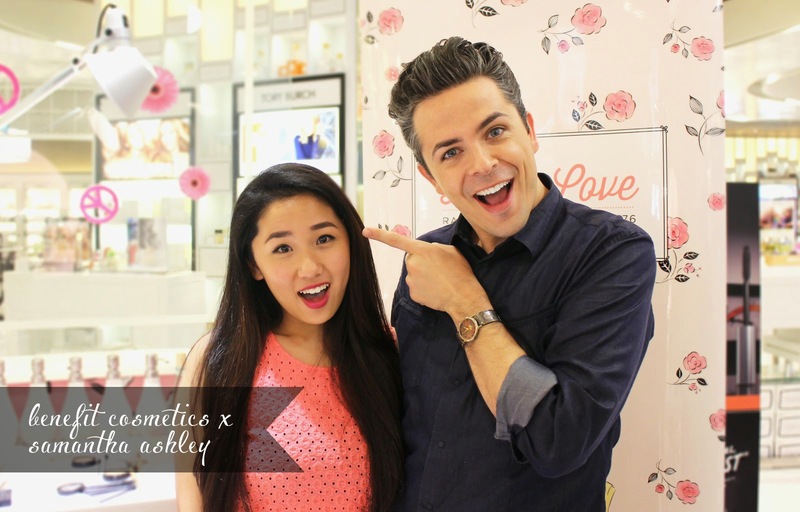 :) You can drop by sephora's benefit counter too!